Below is a sample wedding day working off of a 6 p.m. ceremony with a first look. A majority of our couples choose to have a first look, however we want all our couples to plan their wedding day how they see it unfolding. Remember that all wedding days are different and your timeline may differ due to travel, locations and unique situations. If you are a Brittany Bekas bride — I will be helping you with your timeline four months before your wedding. 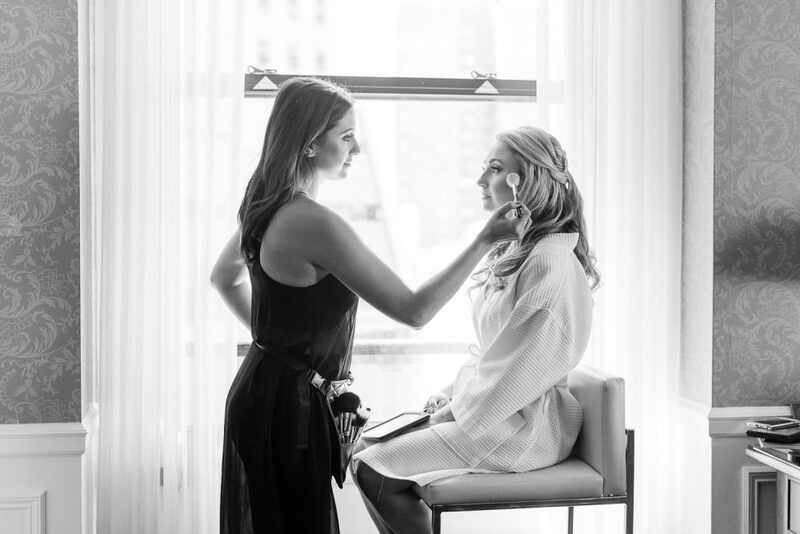 Ok, let’s dive into this …..
No bride wants to be photographed without her hair + makeup complete, so rather than have your photographer hang out while you get glammed up, have her / him arrive as they are putting the finishing touches on you. This means you will still get all those gorgeous makeup photos, they will have plenty of time to photograph all your details AND you will get those exciting moments of you slipping into your dress. We recommend that photography coverage begins 1.5 hours before we have to leave for either your first look OR traveling to your ceremony. 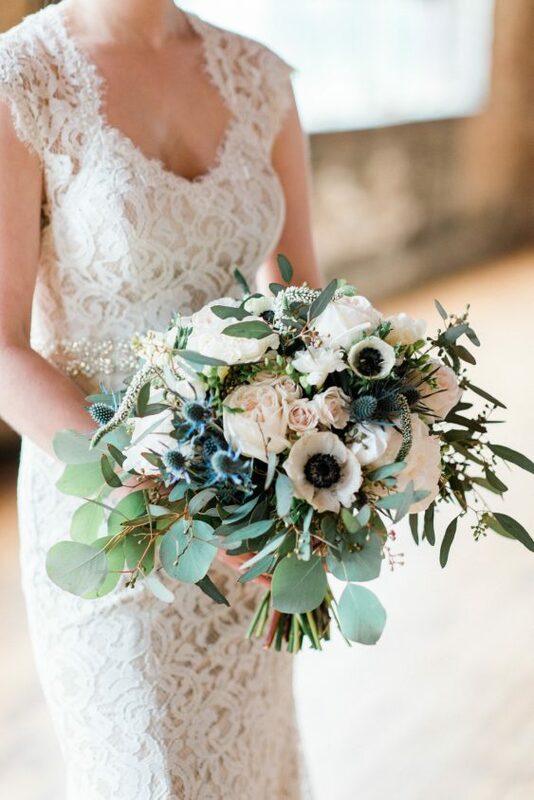 TIP : Ask your hair + makeup team to glam up your maid of honor, your mom and yourself (and any other VIPS you want to help get you dressed), so that you are ready to go 30 minutes after your photographer arrives. This ensures if anyone is running behind, your most special babes will be there to help you get dressed. 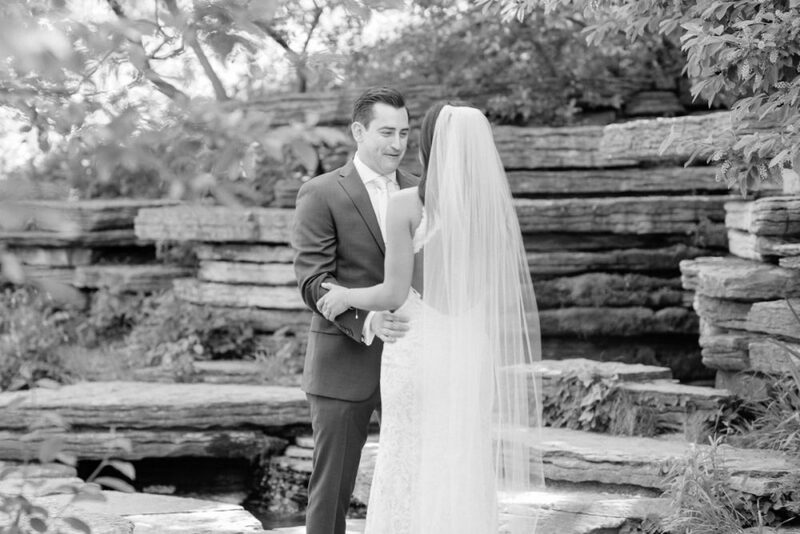 This is one of our favorite parts of the wedding day … and we promise it will be yours too. While you might be thinking that 30 minutes for this part of the day seems a tad bit long, we promise you that you will be grateful you did. First looks take a little time to set up with coordinating the groom into the perfect spot, wrangling the photo + video team and then getting the bride over to the location. We always recommend 30 minutes, so we aren’t stressed or rushing this moment. Plus, if we are done early, we have more time for photos of the two of you. Win, win. 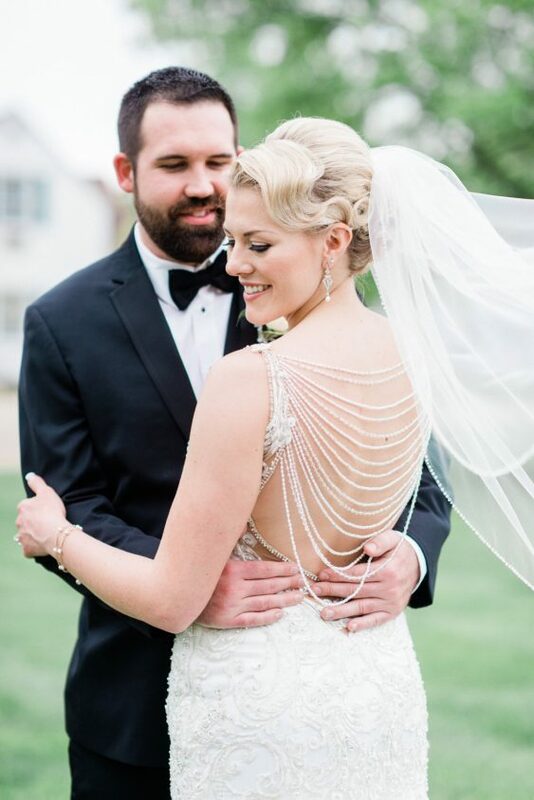 After your first look, we will transition into bride and groom photos. We have found that 30 minutes is the perfect amount of time to get a variety of photos in one location. If you want to stop at another location or want to trek it a spot farther away from our first look location, we suggest adding 15 – 30 minutes to your schedule. During this time, we will photograph the guys and girls both separately and together. It helps to have someone pin the boutonnières on the guys before this portion of the day and remind the bridesmaids to have their bouquets. 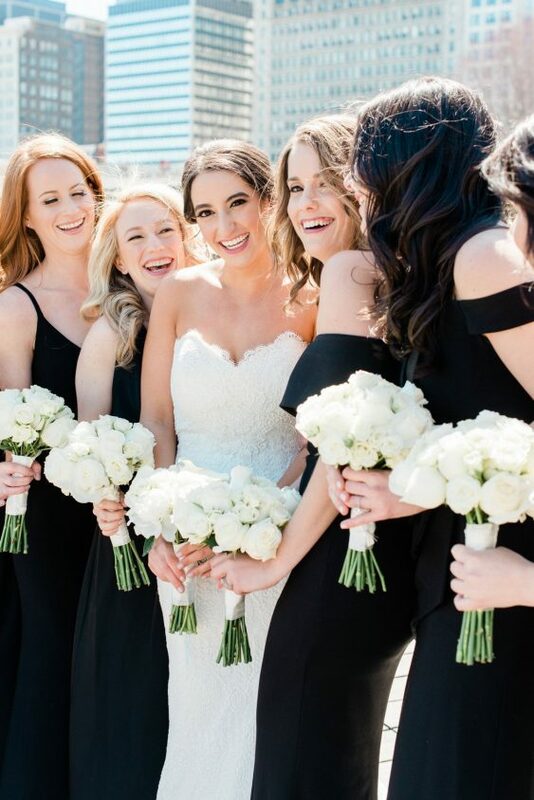 If you want to stop at a second location for photos, we recommend adding 30 minutes to your schedule to allow plenty of time for your crew to get on / off the transportation (especially if you have a large wedding party). 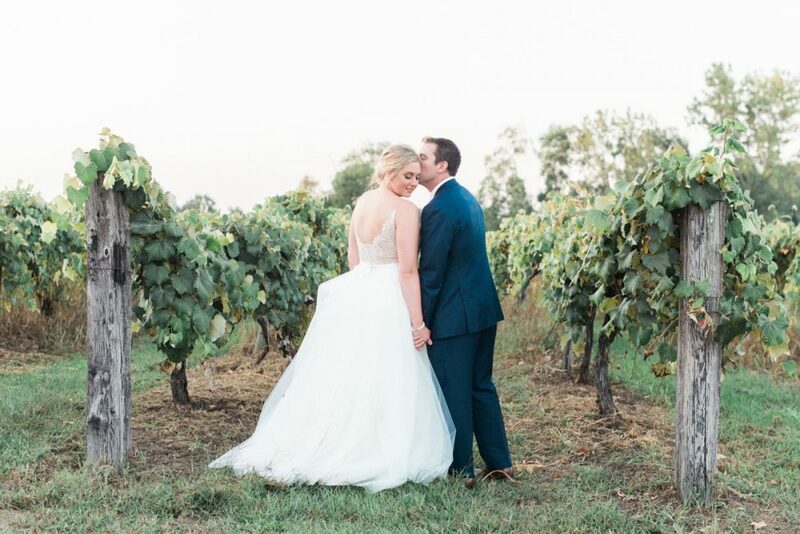 Want to get all of your photos complete before your ceremony? Then this is the way to do that. Thirty minutes of photos is typically plenty of time to get through the standard family formal combinations. If you have a large family, divorced families or want a lot of extended family combinations, we suggest adding 15 – 30 minutes. 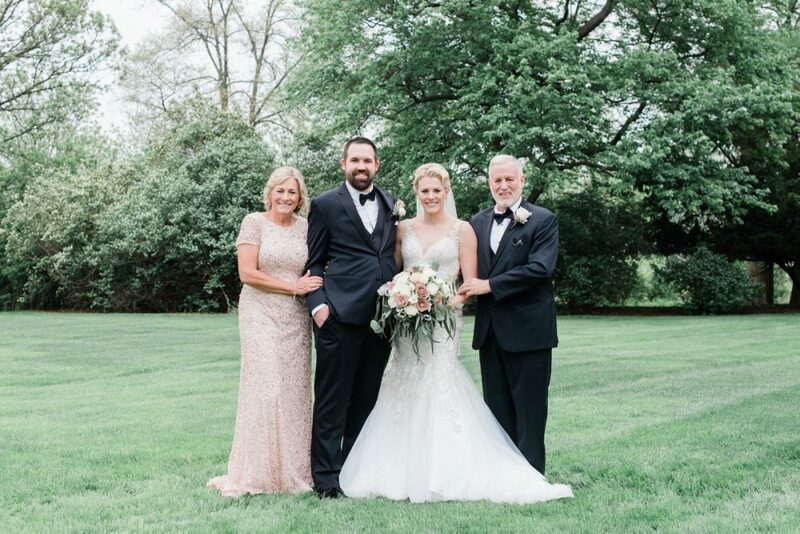 Some couples choose to take immediate family photos before the ceremony and finish their extended family photos immediately following the ceremony. If this is the case, we recommend allowing at least 20 minutes before the ceremony and 15 minutes after the ceremony. 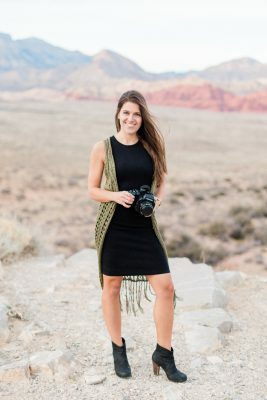 Your photographer will be able to offer more insight on how much time is needed based on the number of photos requested and the size of the groups. (Want a head start on creating the perfect family photo list? Check out my go-to combinations. We recommend ending all photos 30 minutes prior to the ceremony so everyone can freshen up and so you are tucked away from arriving guests. 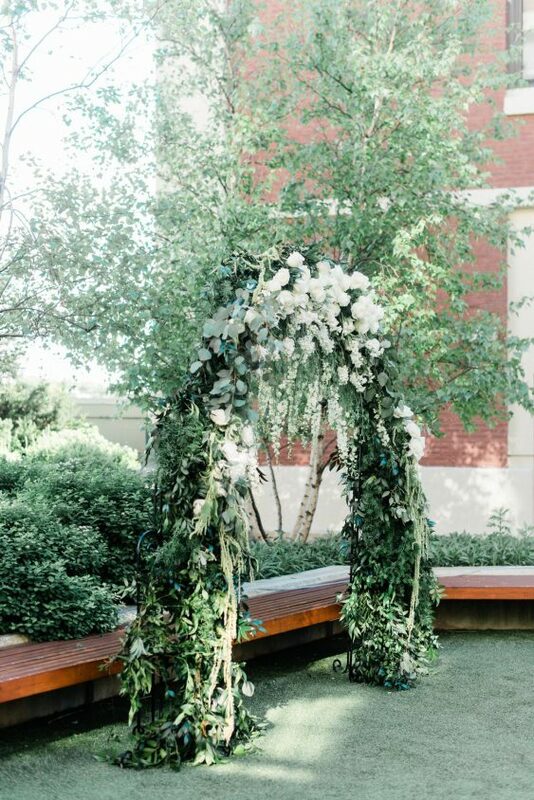 If the reception is in the same location as the ceremony, we will use this time to shoot the reception and ceremony decor untouched. If the ceremony and reception are in different locations, we will focus on the ceremony details and guests arriving. It is time to say I do! Most non-religious ceremonies are 30 minutes long. If your ceremony is longer than 30 minutes, we’ll make adjustments to the timeline. As your guests mingle, we will photograph your guests, and then we will head to your reception room to photograph the room and all the details you spent so long picking out. 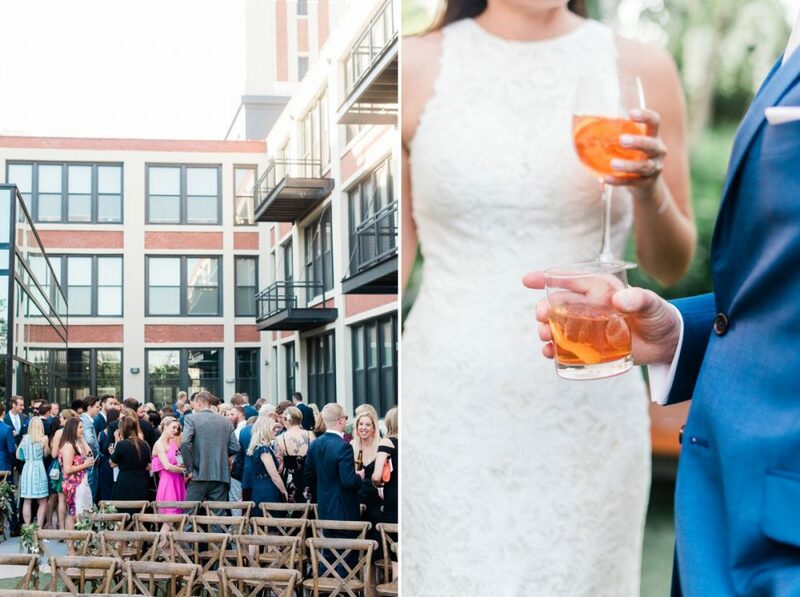 If your ceremony and reception are in different locations, we suggest having your cocktail hour outside of the main reception area, so we can photograph your reception space before your excited guests snag their seat and leave their jackets, cocktails and purses in the space. 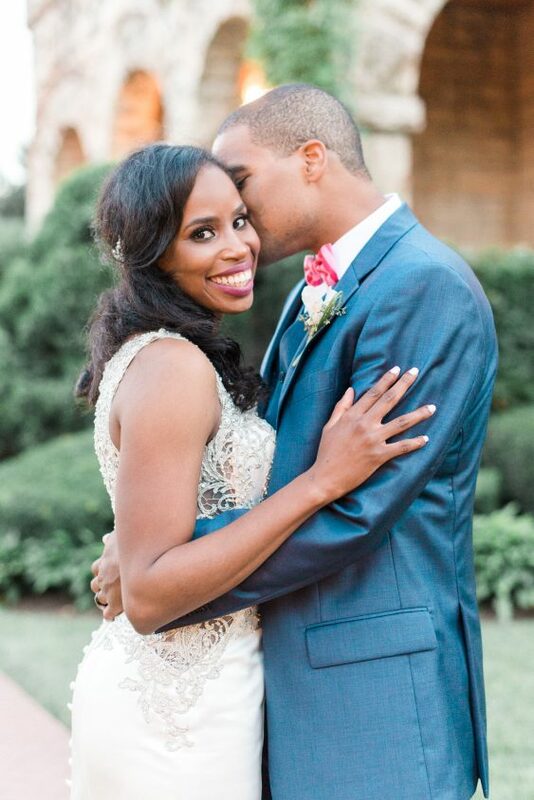 We love having a few extra minutes with the bride and groom to take a few golden hour photos. Golden hour is the BEST time of day for portraits in the late spring, summer and early fall. This is when the sun is glowy and golden and oh-so-dreamy! These photos always end up being our clients’ favorites, so if you can, work 5 – 10 minutes into your schedule at golden hour. You won’t regret it! Golden hour varies on the date, so find out when sunset is here, and then schedule your golden hour photos for approximately 20 minutes before sunset. It is party time, friends! Let’s celebrate. From a photography perspective, we are capturing more photojournalistic moments like your entrance, toasts and dancing from here on out. So just enjoy the party. If you want to snag a few more photos with your guests, during dinner and once dancing starts is a great time to grab any informal group photos or casual photos. Just make sure you have time to sit down and eat that yummy meal you spent time picking out. 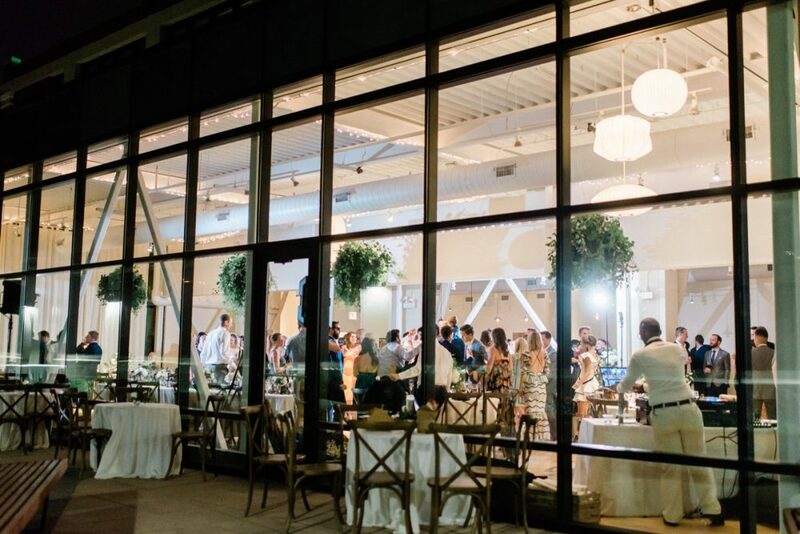 Many of our couples want us to photograph their exit from the reception, but when their party is scheduled to go until 12, they instead opt for a few “end-of-the-night” photos or plan a faux exit with their wedding party + family. 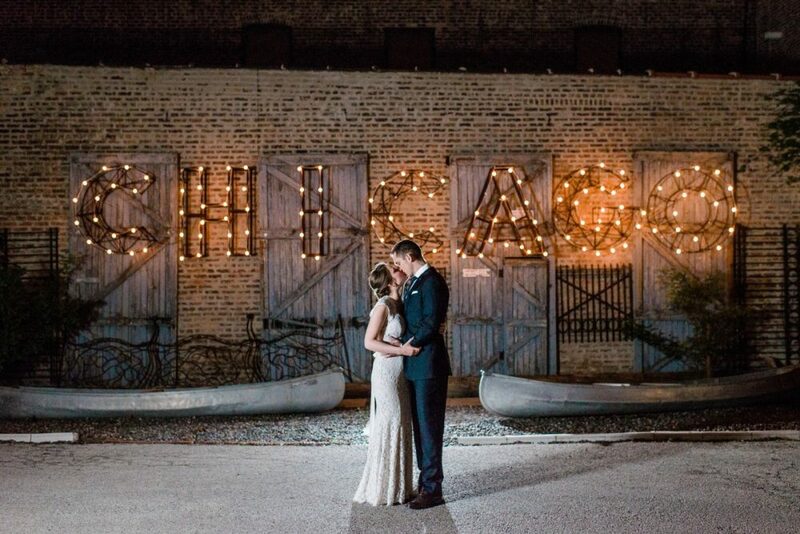 Both options are a great way to get some night time photos to close out the story of your wedding. Not sure how to begin when building your timeline? Start with your ceremony time and back it out from there. This will help you determine how much time you have for portraits and when you need to start getting ready. 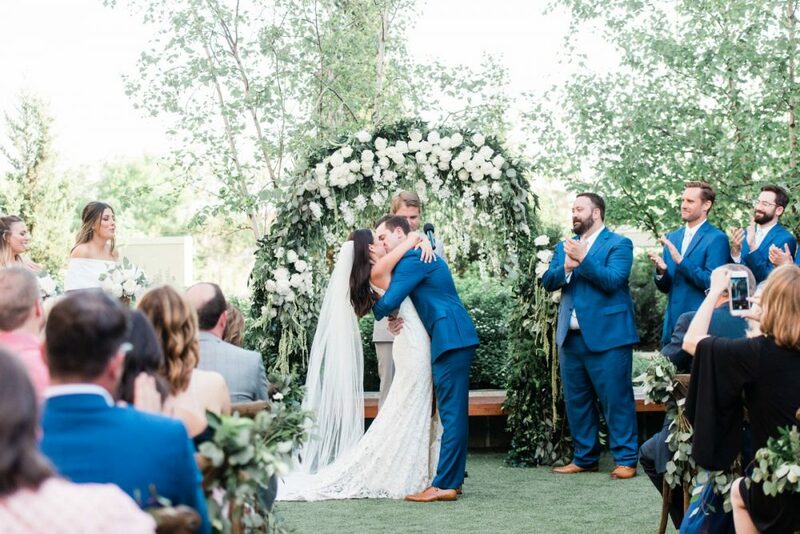 If your wedding day looks different than this, here is an overview on how much time is recommended to create a timeline that fits perfectly for your plans. Remember, the more details you know in advance (like where you are getting ready, how long it takes to get to your venue, where you want to take photos at), the better. TIP: Adding a 10-minute cushion throughout the day is a great idea so that if things come up, you aren’t stressed about the schedule.